EmmDev 2018-03-28 [Lent2018] Beautiful EmmDev 2018-03-29 [Lent2018] One… Single… Day…. We celebrate the empty tomb at sunrise. 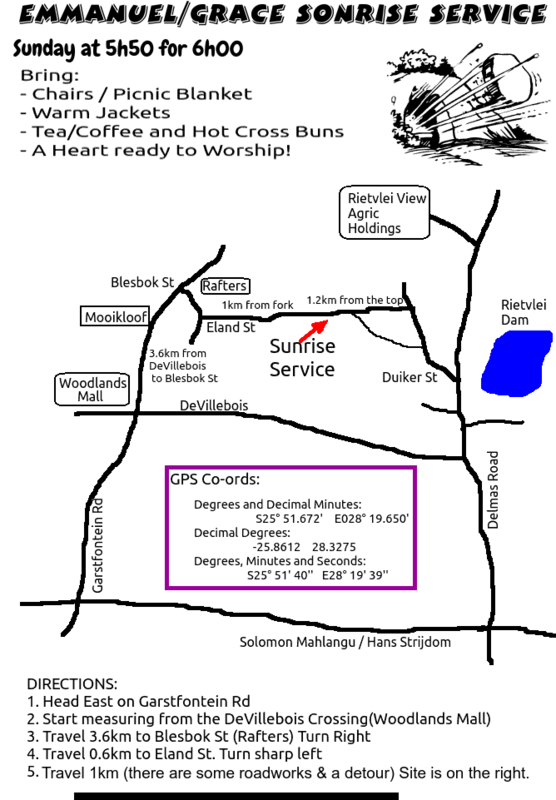 We meet on a piece of land we are praying will be the future home for Grace congregation. (See map below or click HERE). Bring chairs or a picnic blanket , a flask of hot water for tea and coffee and some hot-cross buns. Evening Service: 18:30 please make a special effort to attend this.